I’m the type of person who finds shopping extremely stressful. I’m terrible at finding the right gifts for people who are picky or hard to shop for. Nothing ever seems right or good enough, and more often than not, you end up reaching for something easy out of desperation. Maybe they have everything already, or maybe they’re just a really pragmatic person who prefers practical gifts that they can actually use. Either way, a mug and some socks aren’t going to cut it here. You’ll have to think outside the box. For the difficult people on my list, I always turn to Amazon. 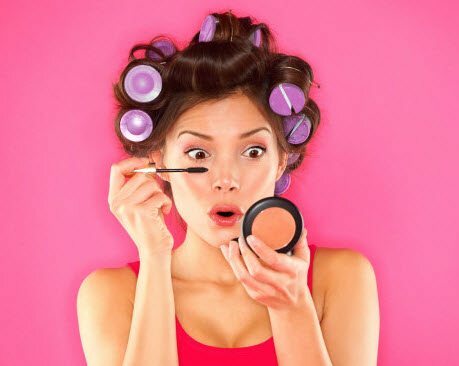 They’ve got tons of weird but amazing products that will suit even the hardest-to-please friend or loved one. In addition to great customer feedback and reviews as well as reliable shipping, Amazon has items that solve problems, have multiple functionalities, and are new to the market, so you can be sure your difficult friend hasn’t seen anything like it before. 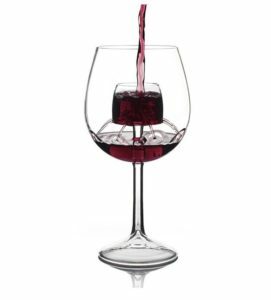 Wine aficionado or not, these genius aerating wine glasses (a set of two) make a seriously awesome gift. The innovative interior design oxygenates your wine right when it hits the glass, so you don’t have to wait for it to breathe. Reviewers say it works really well as far as improving the taste, and it looks epic, too. 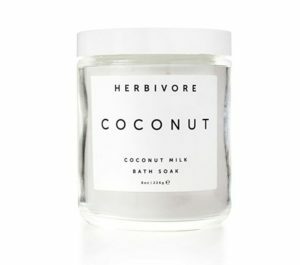 Luxurious, healthy, and amazing for skin, this Herbivore Botanicals coconut milk bath soak isn’t your average spa gift. It’s made with all natural ingredients — primarily coconut milk, which soothes inflammation, supports healing, balances the skin, and leaves everything feeling silky smooth. People also say that this stuff smells amazing. For the extremely practical person’s housewarming party, you’ve got this Joseph Joseph nesting mixing bowl set. It comes with nine pieces including bowls, measuring cups, and a colander, and they all effortlessly fit together to save room in your cabinets. They’re also super durable and dishwasher-safe. 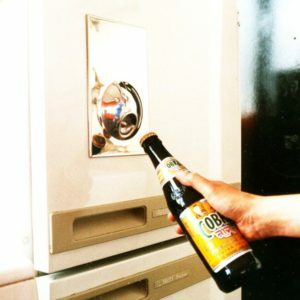 Beer lovers are really digging this bottle-opener fridge magnet, which sticks right on the fridge door without any damaging tools. No more scrounging for the bottle opener that always seems to disappear at the most critical moments, like, for example, 6 p.m. on a Friday night. Purple stained teeth from red wine puts a damper on any oenophile’s parade. 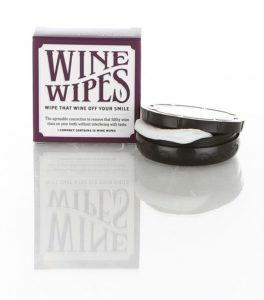 Rather than switch to white, pick up a pack of Wine Wipes, which help remove discoloration without interfering with the taste of the wine. These easy-to-use wipes contain hydrogen peroxide, which effectively combats the stains, yet are gentle enough to use regularly. They’ll stash easily into your bag, so you’ll never have to pass up a glass. The Philips Friends of Hue Iris light is a small but powerful LED that you can entirely customize from your smartphone. You can set it to hundreds of different colors and mood lighting options, sync it up to music, control it while away from home, and set timers and alarms for automatic use (like a wake-up light in the morning). It also works alongside Amazon Alexa. 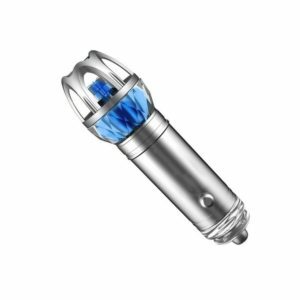 This car air purifier offers a pretty clever solution for keeping your car’s air clean and smelling fresh. 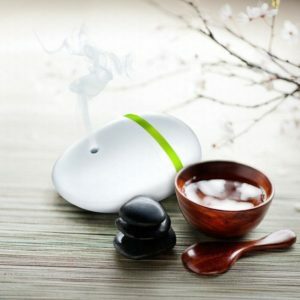 It pumps out negative ions, which destroy odor-causing particulates, rather than just covering them up with scent. It even kills airborne mold, bacteria, and viruses. Plug it into your car’s 12v outlet to immediately let the purifying begin. 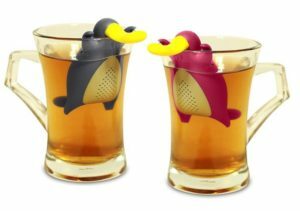 This set of two Cute Platypus Tea Infusers has been on my wishlist for quite a while, and people are totally raving about them. Fill their bellies with your favorite loose-leaf tea and prop the adorable heat on the side of your mug. 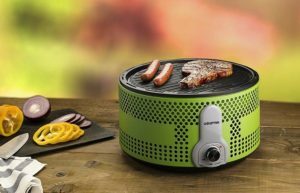 They’re also made of durable food-safe silicone, have fine holes that prevent leaves from getting through, and are dishwasher-safe for easy clean up. 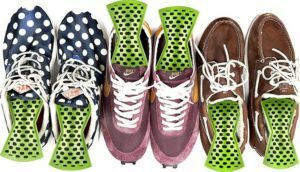 If you’re dealing with gross smells in your shoes, refrigerator, or closets, you should check out this all-natural solution. Instead of just covering up odors like other air fresheners do, these activated charcoal fresheners actually absorb moisture to prevent lingering smells and bacterial growth — stopping funky smells at the source. 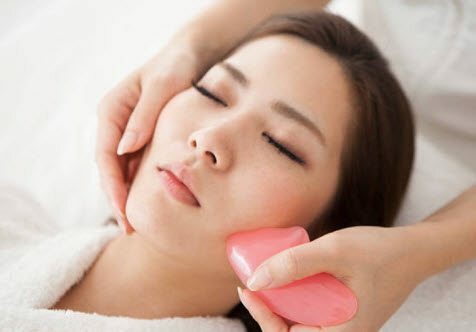 Hear me out: Combining volcanic ash and kaolin clay may sound more like a science experiment than what you’d put on your face, but these two ingredients really give you clearer skin. The kaolin clay naturally purifies the skin, and volcanic ash works to retain skin’s moisture long after washing. 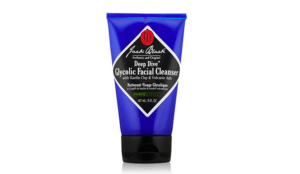 Want an even deeper clean? Use it weekly as a detoxifying mask. 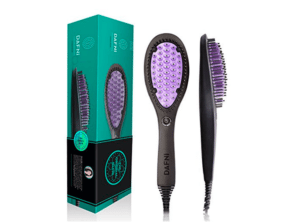 This hair straightening brush is awesome because it simultaneously brushes and straightens your hair (pretty self-explanatory, right?). It’s so nice to get two jobs done in one fell swoop, and streamlining your styling routine means less stress when getting ready. Sleek, modern, and safe, the Riverock essential oil diffuser delivers a steady stream of cool mist and aromatherapy into your room. 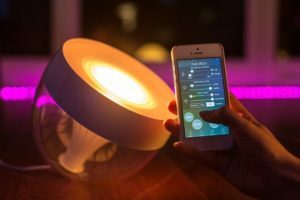 It’s designed for efficiency and ease of use in spaces like yoga studios, offices, and bedrooms, and it’s got a built-in light that changes colors for ultimate relaxation. Probably the coolest shower speaker you’ll ever see, this Moxie wireless speaker actually fits right into its accompanying showerhead with a magnet, so it’s easy to pop out when it’s time to charge it. 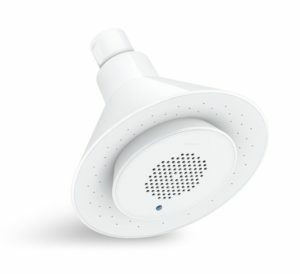 It streams your favorite playlists, news, and audiobooks while you’re in the bathroom, and it does so with a full enveloping spray from a great showerhead. Kombucha is a fermented tea drink that’s all over health food stores because of its probiotic benefits, but it’s also super expensive. 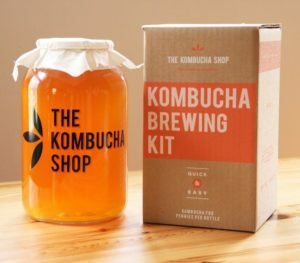 The Kombucha Brewing Kit comes with everything you need (including a glass jar, top, and quality ingredients) to make your own organic tea that ferments in a minimum of six weeks. 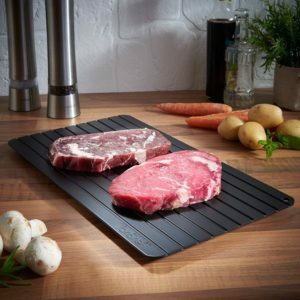 This VonShef Magical Defrosting Tray thaws food up to 10 times faster than it would thaw at room temperature. It doesn’t use chemicals or electricity — thus, the magic — so you can be sure your food is ready to eat when you want it. It’s the perfect solution for when you forget to defrost your dinner (again). 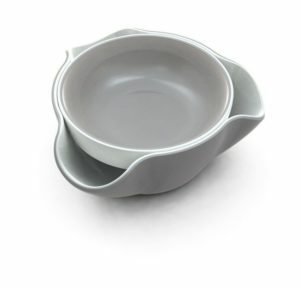 For someone who loves to entertain, the Joseph Joseph Double Dish is a simple yet brilliant addition to their kitchen. 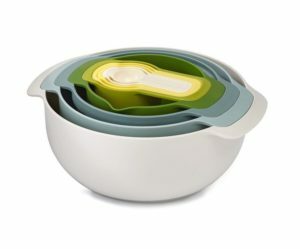 The removable top dish sits in the bottom dish that has three wide lips, so the snack goes in the bowl while the remains go in the tray. It’s awesome for things like olives, pistachios, and edamame beans, and they’re dishwasher-safe. 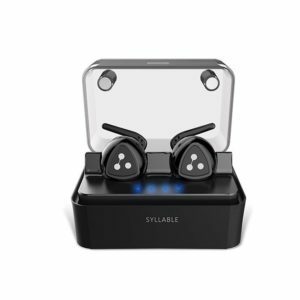 To enjoy your favorite music without any wires whatsoever, there’s these Syllable Truly Wireless earbuds. They’re ultra lightweight and comfortable, sweatproof, sync up to any Bluetooth device, and work for six hours after charged in their convenient charging box. Best of all, reviewers say that the sound quality is amazing for the price. 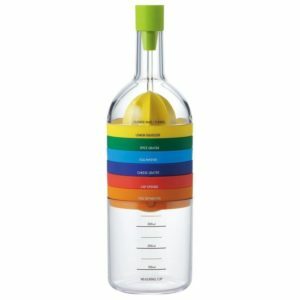 For anyone’s who’s super committed to this adulting thing, this multi-use kitchen tool combines commonly used kitchen gadgets (think: measuring cup, citrus reamer, and cheese grater) into one wine-shaped container. 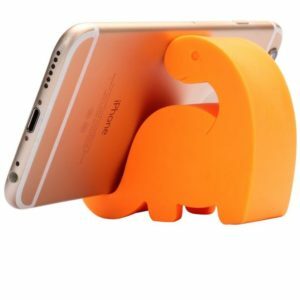 Its compact design means it won’t take up much of your precious cabinet space, either. It’s probably the most efficient, best value-for-your-money gadget you’ll find in anyone’s kitchen. 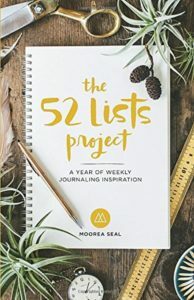 This year, any of your goals are in reach with the help of the 52 Lists Project. Its design helps you easily outline your route to success, including challenges for self-growth, space for self-reflection, and plenty of room for list-making. This best-selling journal is top-rated, and it will guide any reader to a more inspired life. There’s a reason why Oprah chose this perfect pair of lounge pants as one of her Favorite Things in 2016: The bamboo fabric makes them incredibly soft and breathable enough to sleep in. With an elastic waistband and structured fit, they’re likely an upgrade to any sweatpants you’re currently wearing around the house. Plus, they come in a range of neutral colors to match what you’ve already got in your closet.